The first aviation activity in what is now Israel during the interwar period was run by the British armed forces and several civilian air carriers, including the Polish Airline “LOT”. The Polish national carrier had limited possibilities of servicing west and east of Europe, so it focused on the north-south direction. One of the greatest achievements of the PLL “LOT” in the interwar period was launching flights from Warsaw to Lydda in Palestine in 1936 with only one stopover. The route was over 3,000 kilometres via Hungary, Yugoslavia, Greece (with a stopover in Athens), then across the Aegean Sea and the Mediterranean Sea. The longest stretch from Warsaw to Athens amounted to 1,674 km and was carried out at night, lasting 6 hours. Only nine airline companies could afford such an operation, which required modern equipment and highly qualified personnel. The Palestine connection was handled by the most modern aircraft of the “LOT” fleet, including Douglas DC-2. This route was organized in cooperation with the Polish Jewish community. It was not the end of the airline cooperation between Poland and the Jewish community. In Palestine, the RWD-8 RWD 13 and RWD 15 aircraft were also used, some of which took part in the Israeli War of Independence in 1948. It cannot be ruled out that Jewish airmen of Polish descent fought there. Fighting between the Jews and Arabs living in the Palestine mandate had been continuing with varying intensity for a long time. They gained the greatest momentum, however, after World War II, and finally turned into open war. On the Israeli side was a military structure called Haganah which eventually received its air component. In the autumn of 1947 the Jewish community began to prepare for the Arab invasion of Palestine, which would result in the total annexation of the disputed territories, and prevent the emergence of a Jewish state. Two weeks before the UN voted on Palestine in November 1947 the Haganah had created the first Jewish Air Force (Sherut Avir, Hebrew. שירות האוויר). They consisted initially of 25 light aircraft on loan from the Jewish airlines “Aviron” (including two Polish RWD-8 / VQ-PAG and VQ-PAK / two RWD-13 / VQ-PAL and VQ-PAM / and one RWD-15 / VQ-PAE /) and only eleven pilots. They also managed to buy a number of other aircraft, including two Taylorcraft Model C, about 20 Auster A.O.P. light observation aircraft (most officially in private hands), one DH.89 Dragon Rapide (VQ-PAR “Aron”) and two DH.82C Tiger Moth (VQ-PAU and VQ-PAV) from Canada. Officially, they were used by the Aero Club of Palestine and in the light of official data were not part of the Sherut Avir. With these aircraft the Jews were trained in 1939 as the first group to own a pilot’s travel license. Most likely, they trained on the Polish aircraft RWD-8. These forces were also used to carry out reconnaissance and air supply for cut-off Jewish communities. The secret organization Haganah (Defense) was founded in 1920 by Vladimir Jabotinsky (Żabotyński). It was established to defend the Jewish population from attacks by Arab militias, whose attacks had intensified in 1936–1939. The main tasks of the Haganah were the acquisition of weapons, training fighters, and intelligence. During World War II, the Haganah supported the British and had its agents in many countries. This organization also created its air force in 1947. 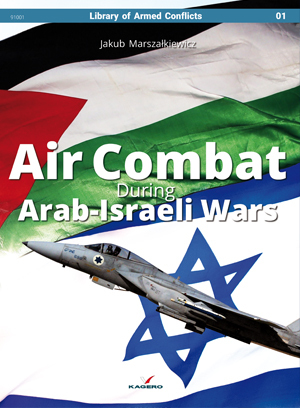 Initially, the air force of the later state of Israel was based on complete improvisation. The first bases of the newly formed Sherut Avir were mainly the Aero Club of Palestine and the “Aviron” company – both were under the total control of the Haganah. A network of relatively well-prepared airstrips was also available (which had been created by the Jews in Palestine since 1937) and about 2,500 people (of both genders), many of whom had experience of service with the Allied armies and air forces. Perhaps some of them had served in the Polish Air Force in the West. A number of pilots of Jewish origin was surely also present in the Polish aviation regiments in the USSR. The first chief of staff Sherut Avir was Aharon Remez. In 1948 Sherut Avir acquired the first of three Beechcraft Bonanza aircraft bought by Boris Senior – a former British military pilot from South Africa. Officially, the aircraft was flying on a tourist trip to Europe, but landed in the Negev desert, where bomb racks were installed. Soon after Sherut Avir acquired heavy transport planes. American Jewish A. W. Shwimmer (pilot and flight engineer) bought in the US ten Curtiss C-46 Commando aircraft and three Lockheed L-049 Constellation from USAF storage. They were then registered in Panama. They were used, among others, to bring weapons to Israel. For example, L-049 with the Panamanian registration number RX-121 when flying through Europe, was involved in the transport of weapons from Czechoslovakia. 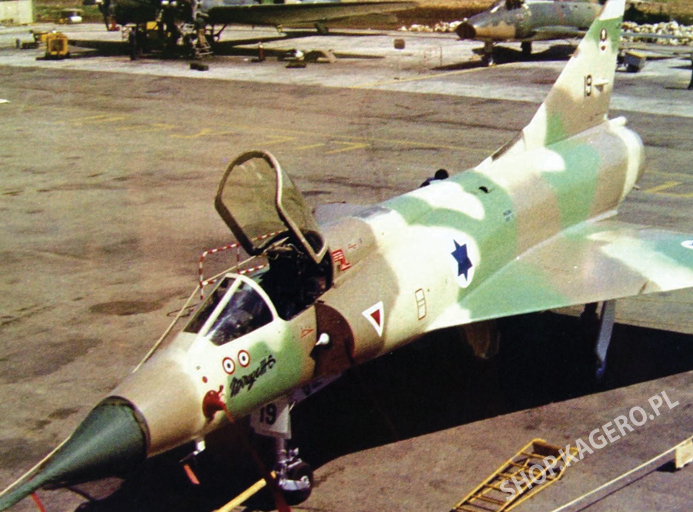 In addition, during the seven months of Sherut Avir’s existence (from November 1947 to May 1948) the aviation of Haganah received many other aircraft. In March of 1948, Haganah commandeered a Fairchild F24R (UC-61) belonging to an Egyptian drugs smuggler. In May, they purchased three DH.89 Dragon Rapide in the UK. An RC-3 Seabee float plane and three C-47s were purchased. Also four Avro Anson training aircraft were bought, but these were interned in Greece. In Israel, there were also a number of Lockheed Hudson Mk III and Lodestar aircraft. On April 13 the only RWD-15 was burned at the Lod Airport as a result of sabotage.